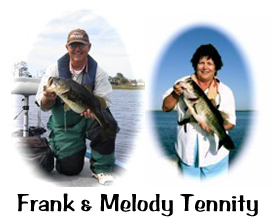 Frank and I fished a small tournament on the South Winter Haven Chain of Lakes last week. The chain is comprised of Lakes Shipp, Lulu, Eloise, Roy, Summit, Winterset, Little Winterset, May, Howard, Cannon, Mirror, Idylwild, Hartridge, and Jessie. We fished Summit and Eloise for most of the six hours. This year, the water was high from the constant rains this summer/fall, and how much it affects these fish, we’re not sure. Being Northeners, we don’t get it. When we have high water up north, the fish go shallow; when the water temps get up in the seventies, the fish are usually all out active. Not so down here. We tend to forget that in all this year’s late fall heat, this is winter to the these warm water bass and they become very lethargic. It seems like every year, we have the same problem when we get here, trying to force feed fish that have no interest in our fast moving baits. Hence, the day of the tournament was no different. Frank and I were fishing along shallower weed edges, me, dipping a Texas Craw and, Frank throwing a spinnerbait parallel to the weed edge. Not a bite. Not a nibble. At some point, I thought, maybe they want a slower presentation, so I dug my wacky rigged rod out of the mass mess (10 rods and reels) beside my seat, impaled a watermelon/red Zoom Trick Worm on the hook (Arkie offset worm hook, 1/64 oz., WalMart) and gave it a mighty heave out toward the middle of the lake. Then I just let it set – didn’t twitch it – didn’t move it – didn’t jiggle it. It’s called dead sticking your bait. As I started to slowly reel it up, I felt a slight pressure on the line. It’s hard to explain to novice anglers what that feels like because it can be so imperceptible. With a mighty jerk, I had the first keeper (15 1/2″) in the boat. I felt relieved; we weren’t skunked. My momma didn’t raise no fool. If it worked once, why not try it again? It worked again. So the big message to me was, we had been fishing way too fast and way too shallow. Then the bite dropped off, so now what to do? Change color. I looked in my tackle bag and selected a black grape Trick worm and hooked it the same way (in the middle of the worm). The bite was back on. Does color matter? The light had changed, so my bait had to change, at least its color had to change. Do I figure it out every time? No, but with two experienced anglers in the boat, we have a better chance to figure it out and put something together in the limited amount of time we have. Altogether, we caught approximately twenty bass. We won the tournament with ten plus pounds, didn’t get rained on, nor sunburned and had the opportunity to spend a wonderful day on the water together.